Delta2D is available under flexible licensing options at affordable prices, since we like to address different environments and demands. Have a look at our licensing options and make your choice. purchase it per image (Delta2D Consumable). Then request a quote through our contact form or email us, and a sales representative will contact you. 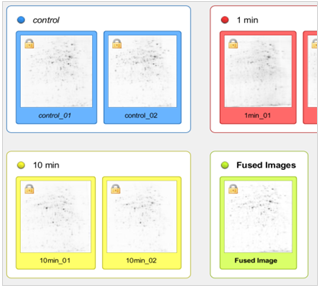 Delta2D Consumable is a licensing option where you just pay for the number of images that you like to analyse. With this option the price of your 2DE gel analysis software scales with your project size. Already have an account with Delta2D Consumable credits? Login and check the current balance and previous image activations. Want to buy more consumable credits? Delta2D is offered for scaled prices. Just use our template quote below and send your order per email or fax to +49 3834 515239. Or contact us and request your personalized formal quote by sending the receiver address, the required number of credits and your currency preference (Euro or US Dollar, other currencies upon request). We understand that just reading about a product may leave unanswered questions. Feel invited to install the trial version yourself, or ask us for a webdemo. You can also request a printed Delta2D brochure or other documents that you would like to have on your desk.